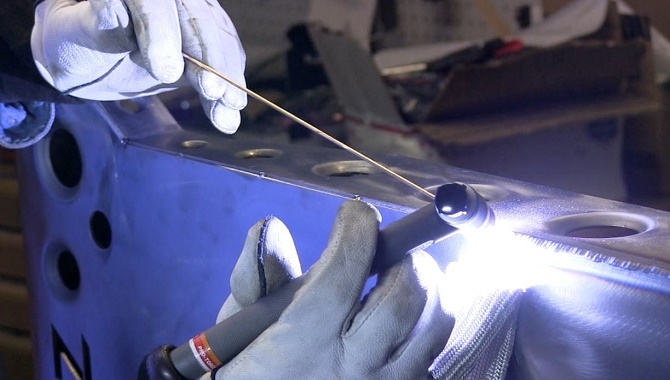 Welding is one of the most important fabrication activities for many manufacturing businesses. That being said, many manufacturers rely on MIG welding as it’s the most affordable welding process. MIG welders utilise a welding wire, and selecting the correct one can help produce quality welds even under less than ideal conditions. The wire is a consumable in the MIG welding process, and the quality of the weld can be determined by it. The three most commonly used metals in MIG welding are steel, aluminium and carbon steel. However, aluminium requires a special setup and isn’t as common as the other two. The metals that are being welded together are known as base metals, and their thickness and composition is what determines the necessary composition and thickness of the welding wires that are being used to weld them together. The welding wires used for MIG welding should be the same type as the metals that are being welded. Steel wires should be used to weld steel, aluminium for aluminium, etc. However, worth knowing is that most MIG wires contain other elements as well, such as titanium, silicon or manganese, all of which help deoxidise the weld. This makes the weld more stable and less porous. 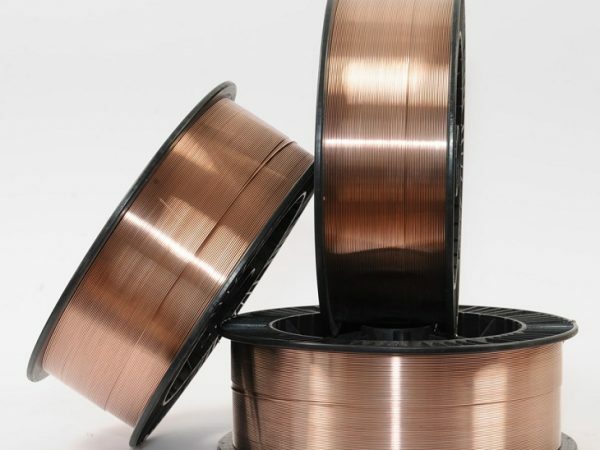 Steel wires also have a bit of copper coating to prevent oxidation. The amount of extra elements can greatly vary from wire to wire, and it can have an effect on the stiffness of the weld puddle. With that said, look for the wire’s primary metal when choosing one, but don’t be put off by the presence of extra stabilising metals. If you’re unsure about selecting the right wire, do some research beforehand. The thickness of the wire also matters greatly, and it is dependent on the thickness of the base materials that are being welded together. A lot of wire manufacturers include the wire thickness charts on their websites and product packaging. Moreover, a range of thicknesses can work for every standard wire diameter, so you can get the right diameter even if the precise gauge of the plates that are welded isn’t known. 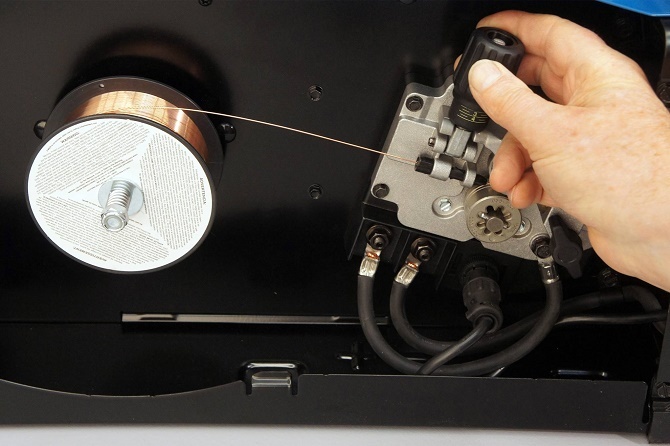 Lastly, you’ll notice that wires are oftentimes sold by weight instead of length on the spool. It’s also usually more economical to buy heavier spools, especially if you weld frequently. However, you’ll also need to consider your welding habits. Buy an amount of wire that makes sense for your purposes instead of buying the cheapest spool that won’t be used.